Established in 2013, SRP Group is the construction, operating and service unit of Ningxia Yinchuan Cross-Border Trade E-Commerce Pilot Project. Our business covers information technology service, import & export, payment, traceable certification, big data service, etc. SRP launched a strategic cooperation with the local largest digital product retail chain to realize connectivity and online export. SRP has signed a strategic framework agreement with Aqaba National Real Estate Company. Silk Road E-Station Middle East Trade FZE was established in November, 2015 at JAFZ, Dubai, UAE. SRP plans to build an overseas warehouse at the Suez Canal Economic Zone. Silk Road ePath Information Technology Service (US) Ltd Liability Co. was established in December, 2016. The main businesses cover cross-border e-commerce export and import, re-export for offshore companies and processing with supplied materials. Dec. 2018: SRP Reaches A Strategic Partnership with Top Flier. Dec. 14th to 16th, 2018: Mutual Recognition for SRP Certification in Thailand HALAL Assembly 2018. Nov. 25th, 2018: SRP and DDFC Signed MoU and Launched Silk Road Design Competition. Sept. 18th to 19th, 2018: Participation in International Conference on Digital Economy & Digital Silk Road. Jun. 29th to Jul. 1st, 2018: Participation in the 2nd Hainan International Hi-Tech Industry and Innovation Expo 2018. May 4th, 2018: SRP Yihe Gold Global Launch of Official Licensed Products for FIFA World Cup Russia 2018 was held successfully in Beijing. Apr. 17th to 22nd, 2018: Participation in Milan Design Week 2018 by iAu, a Self-owned Brand of SRP Group. Apr. 9th to 10th, 2018: SRP Group attended the Expo 2020 Dubai first meeting for licensees. Jan. 2018: SRP Yihe Gold obtained the official license of FIFA World Cup Russia 2018 over design, production and sales of 4 limited-edition football products. Nov. 20th, 2017: SRP Group signed a Kosher Certification Agency Agreement with Shatz Kosher Services (SKS) from the United States. Oct. 26th, 2017: SRP Group signed an Enterprise-University Cooperation Framework Agreement with Dean from School of Foreign Language of Ningxia Normal University in Yinchuan. Oct. 16th, 2017: SRP Group officially launched the Food Export Certification Standard Information Platform. Sept. 7th, 2017: SRP Group signed a Strategic Cooperation Memorandum with Jordan Free and Development Zone Group. Sept. 6th, 2017: Chairman of SRP Group was invited to attend the opening ceremony of “2017 Online Silk Road Conference”. Sept. 5th, 2017: SRP Group signed a Strategic Cooperation Agreement with Achievement Transformation Service Center, Achievement Transformation Collaborative Working Committee, China High-Tech Industrialization Research Association on transfer of China-Arab cross-border technology and services and other matters. Aug. 24th, 2017: SRP’s Halal Project Principal signed a Food Certification Agency Agreement with Mr. Bahtera Lagenda Sdn. Bhd., Head of Islamic Food Research Center (Hong Kong) Co., Ltd.
Aug. 21st, 2017: SRP delegation led by Chairman paid a visit to Egypt and Dubai and held an in-depth discussion with relevant officers of Expo 2020 Dubai to apply for the licensed products provider for Expo 2020 Dubai. Jul. 19th, 2017: SRP representatives were invited to participate in the opening ceremony of 2017 China Investment Forum held in the Czech Republic. Jun., 2017: China-Kazakhastan Cross Border B2B Export Platform of SRP received the first online order. May 14th, 2017: SRP Chairman attended the opening ceremony and the Thematic Session on Connectivity of Development Policies and Strategies of the Belt and Road Forum for International Cooperation (BRF). Apr. 18th, 2017: Enjoy Jewelry flagship online store on JD.com went online officially. Apr. 1st, 2017: China-Kazakhstan B2B Cross-Border Export Platform of SRP went online officially. Jan. 23rd, 2017: SRP Group signed a supply agreement with Egyptian SKY Group who agreed to import Chinese products to Egypt through the China-Arab Cross-border Trade E-commerce B2B Export Platform of SRP. Jan. 16th, 2017: SRP Group and ITSC signed the Cooperation Framework Agreement on China-Egypt Cross-border Technology Service Transfer Platform under the witness of leaders of National Development and Reform Commission of the People's Republic of China (NDRC) and the Ministry of Communications and Information Technology of the Arab Republic of Egypt (MCIT). Sept. 19th, 2016: Ningxia Silk Road ePath Co., Ltd. completed the delivery of its first batch of exported goods to Kazakhstan, including electronic devices such as mobile power, smart bracelets, etc. Aug. 11th, 2016: The Cross-Border E-Commerce Import Service Platform of SRP Group went online successfully after a few months of efforts of SRP Group's research and development team. Jun. 28th, 2016 :At the prime time of 8 p.m, the 29th episode of the major documentary Zhumeng Lushang (On the Way to Dreams) was broadcast on CCTV1 in China. May 20th, 2016: Ningxia Silk Road ePath Information Technology Service Co., Ltd. successfully signed a strategic cooperation agreement with Aqaba National Real Estate Projects in Jordan. May 17th, 2016: Ningxia Silk Road ePath Co., Ltd. signed an MOU with Information Technology & Services Co. (ITSC) in the presence of the Minister of MCIT. May 12th, 2016: Yinchuan inventory mode system testing went online officially. May 6th, 2016: Ningxia Silk Road ePath Information Technology Service Co., Ltd. successfully signed a strategic agreement with the Polish Group SILUBUY S.C..
Dec. 12th to 16th, 2015: Leaders of SRP Group paid a visit to the Director of Jordan Investment Commission in Amman. The Jordanian party will provide convenient services and preferential policies for SRP Group in the processes of registration, commodity inspection, taxation and customs in Amman, Jordan. Nov. 4th, 2015: SRP Group and National Engineering Laboratory for E-commerce Technologies held the signing ceremony of building China-Arab Cross-border E-commerce Comprehensive Service Platform on Nov. 4th, 2015 in Tsinghua University. Sept. 11st, 2015: SRP Group attended the China-Arab States Expo 2015 and signed strategic cooperation agreements successfully with six state-owned key enterprises, the total amount of which was almost RMB 20 billion. Sept. 8th, 2015: Yinchuan Cross-Border Trade E-Commerce B2C Import Platform and O2O Experience Center of SRP Group opened successfully in Ningxia International Commodity Exhibition & Sales Center. Aug. 13th, 2015: SRP cross-border e-commerce B2B import business went online officially. Jul. 14th, 2015: SRP Group and Ningxia Branch of Agricultural Bank of China signed a strategic cooperation agreement in Ningxia. Jun. 16th, 2015: SRP Group and Exposition Bureau of Ningxia Hui Autonomous Region signed the Strategic Partnership Agreement of CHINA-ARAB STATES EXPO in Yinchuan. Apr. 2015: The signing ceremony of the strategic cooperation between SRP Group and Ningxia Branch of Bank of China on Sino-Arab cross-border payment and finance was held in Yinchuan, Ningxia. Mar. 23rd to 31st, 2015 : A six-people delegation, led by the Chairman of SRP Group, paid a visit to Saudi Arabia, UAE and the State of Qatar for investigation from Mar. 23rd to 31st, 2015. The main purpose of this visit is to make a preliminary investigation of cross-border e-commerce market in Saudi Arabia and the UAE and further deepen the partnership with enterprises in Dubai. 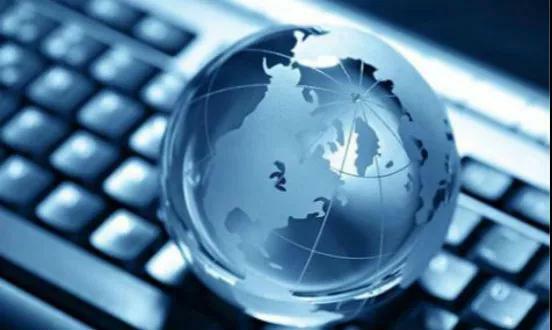 Dec. 26th, 2014: Ningxia Silk Road ePath Co., Ltd. promoted the official business of Yinchuan cross-border trade e-commerce. Nov. 23rd, 2014: Ningxia Silk Road ePath Co., Ltd. signed a strategic cooperation agreement with Dubai Matajircom E-Commerce Industrial Park.